On April 18th, 2016 at 3pm, El Dorado County Sheriff’s Office Central Dispatch received a 911 call from a man in the Mosquito area advising that his motorcycle tire had been shot by the driver of truck after a road rage incident. Deputies and CHP Officers responded to the area and contacted the victim, who described a brief road rage incident between himself and the drive of a small truck, which escalated into the two stopping near the Mosquito Cut-Off Road. According to the victim, the man got out of his truck with a firearm and pointed the weapon at the victim. The man then shot at the victim’s motorcycle, striking the rear tire, and then threatening to shoot the victim. The man then got into his truck and left. Based on the information provided to the investigating Deputies, the suspect was located at his residence in Mosquito. 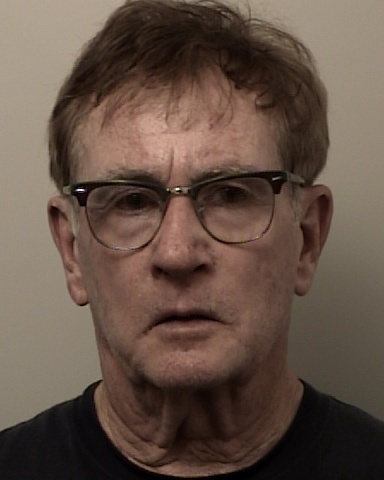 At the conclusion of the preliminary investigation, Deputies arrested 67 year old Eric Lance Cullis Jr for charges of Assault with a Deadly Weapon, Felony Criminal Threats, and Brandishing a Firearm. The incident is still being investigated and anyone with any information is asked to call (530)621-6600.